Virginia’s Declaration of Rights was drawn upon by Thomas Jefferson for the opening paragraphs of the Declaration of Independence. It was widely copied by the other colonies and became the basis of the Bill of Rights. It was also used to draft the French Declaration of the Rights of Man and Citizen. Written by George Mason, it was adopted by the Virginia Constitutional Convention on June 12, 1776. 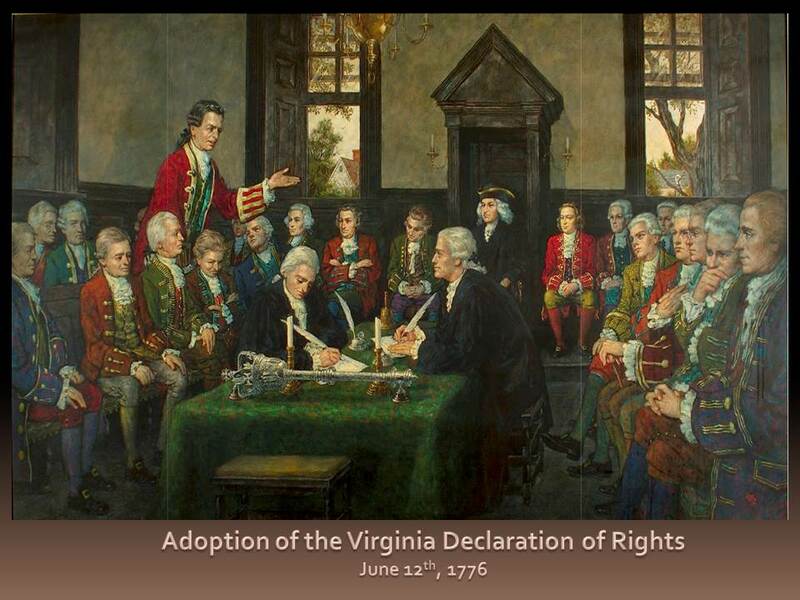 A DECLARATION OF RIGHTS made by the representatives of the good people of Virginia, assembled in full and free convention which rights do pertain to them and their posterity, as the basis and foundation of government . Mason, being s strong believer in human liberty and limited government, Mason crafted a document that guaranteed the citizens of Virginia, upon achieving independence from Great Britain, all the civil liberties they had lost under British rule. The Declaration of Rights enumerates specific civil liberties, including freedom of the press, the free exercise of religion, and the injunction that “no man be deprived of his liberty, except by the law of the land or the judgement of his peers.” Other provisions prohibited excessive bail or cruel and unusual punishments, required authorities to have evidence and good cause before obtaining a search warrant to enter a place, guaranteed the right to trial by jury, and said that a “well-regulated militia” should be “under strict subordination” to the civilian government. Many of these provisions were later incorporated into the Bill of Rights.